Ducati UK are now making it easier than ever to own a Panigale V4 superbike, by offering a free 12-month subscription to BikeTrac and 15% off Ducati Insurance. 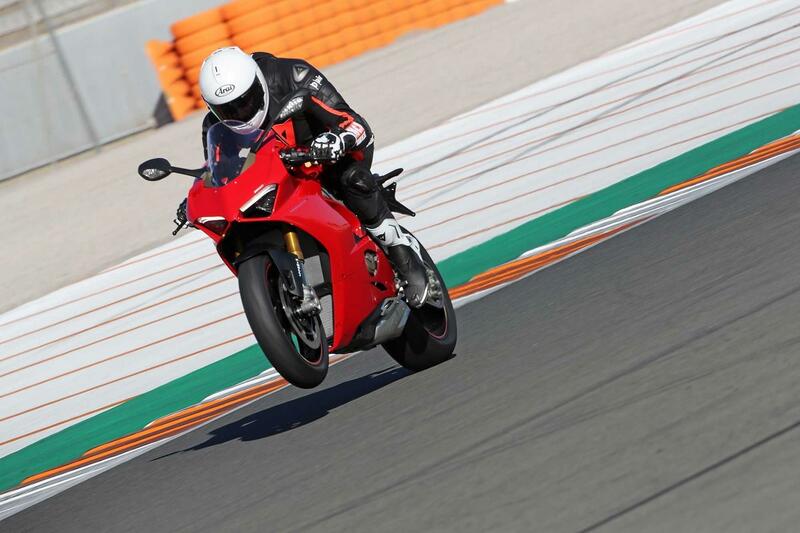 Available from February 1 to June 30, the deal is open to UK residents (including the Channel Islands) purchasing a new, unregistered Panigale V4, V4S or V4S Corse, however isn’t available for the latest World Superbike-inspired Panigale V4R or V4R Speciale. BikeTrac trackers monitor the movements of your motorcycle in real-time and allow you to view the whereabouts of your bike at all times. You can also view journey history and get notifications of any unauthorised movements. What if I don’t want a Panigale? Those lusting over the Ducati ownership experience in other genres will be pleased to know that from now until the end of June all unregistered Ducatis - barring the Panigale 1299R Final Edition – will also be available with a 15% discount on insurance and a free three-month subscription to BikeTrac. At the end of October last year, BikeTrac announced that they have now recovered more than 1000 customer machines since their launch in 2009. "When we began developing our system, we knew that we had to make sure our tech worked specifically for motorcycles," explained Bill Taylor, Sales Director at BikeTrac. "This was crucial in our minds because it allowed us to work closer with the authorities to prove we know where the stolen bike is; it’s a big reason why we’ve hit the magic 1000."